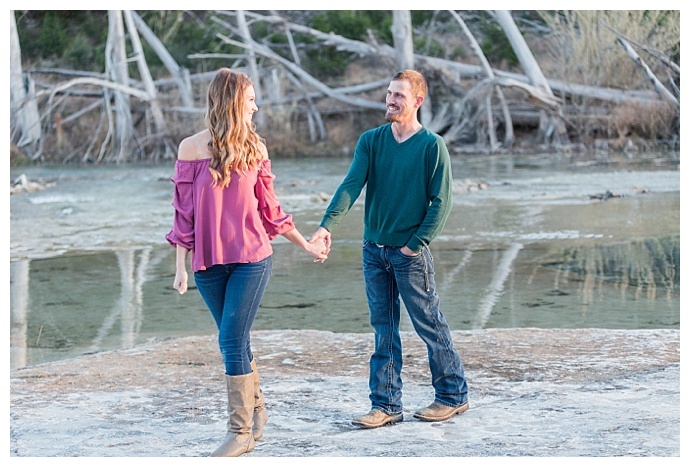 The best kind of adventures often require a bit of convincing. 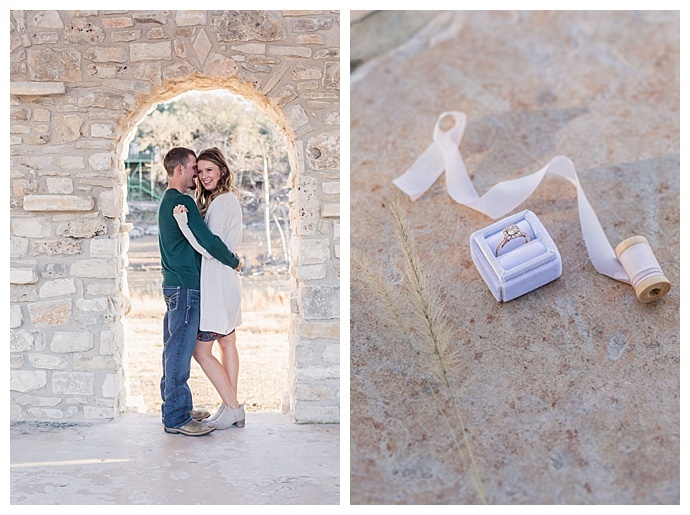 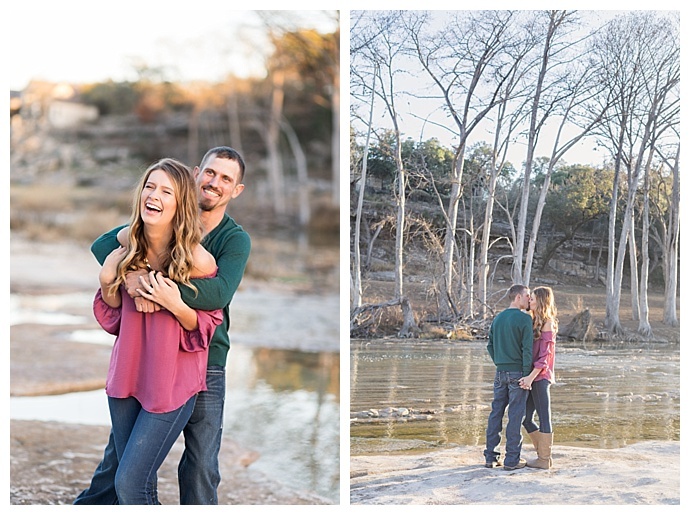 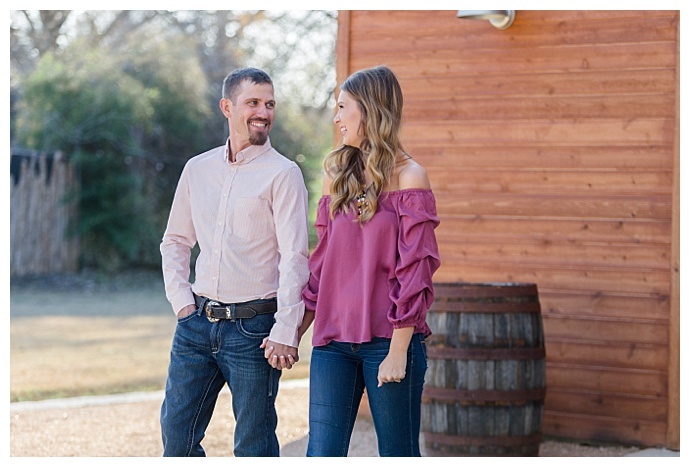 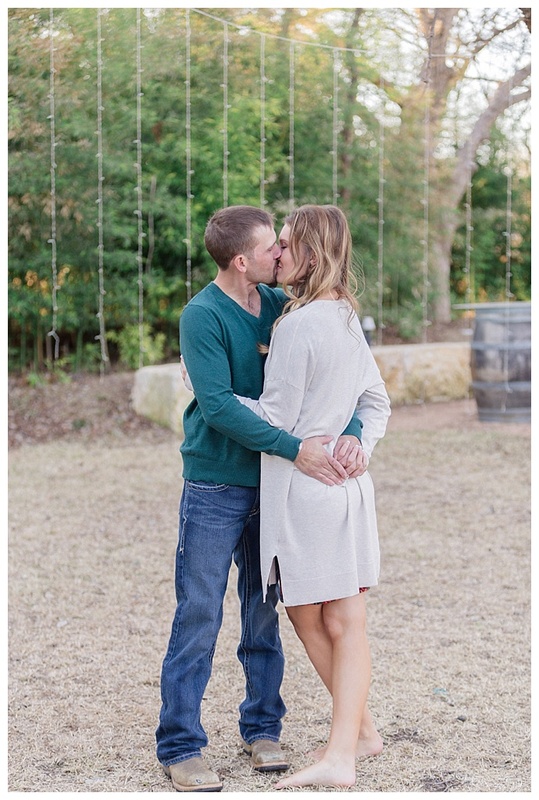 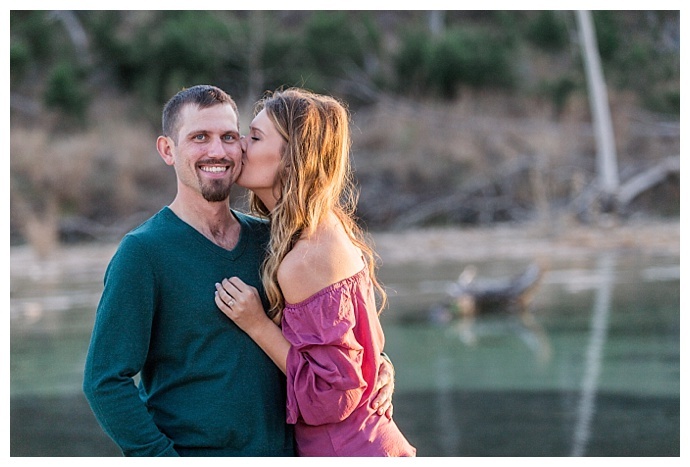 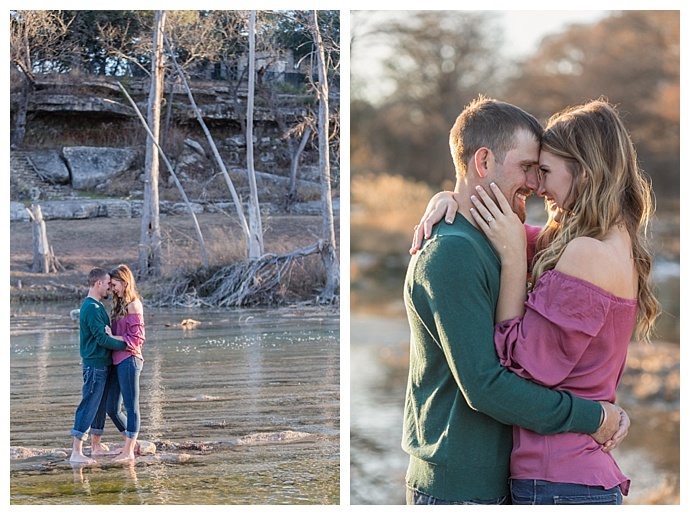 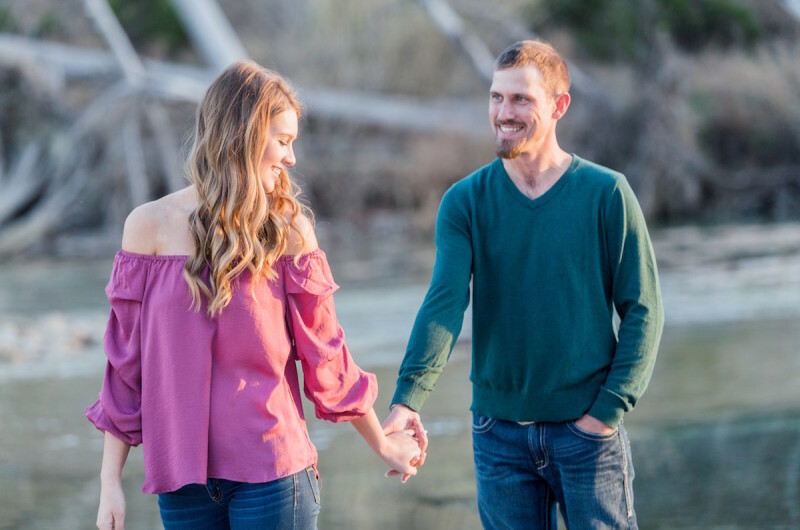 During their engagement shoot with Holly Marie Photography, Kathryn was eager to get her feet wet and dip her toes into the cold water at The Waters Point in Wimberley, Texas, while Clint needed a bit of convincing from his bride-to-be. 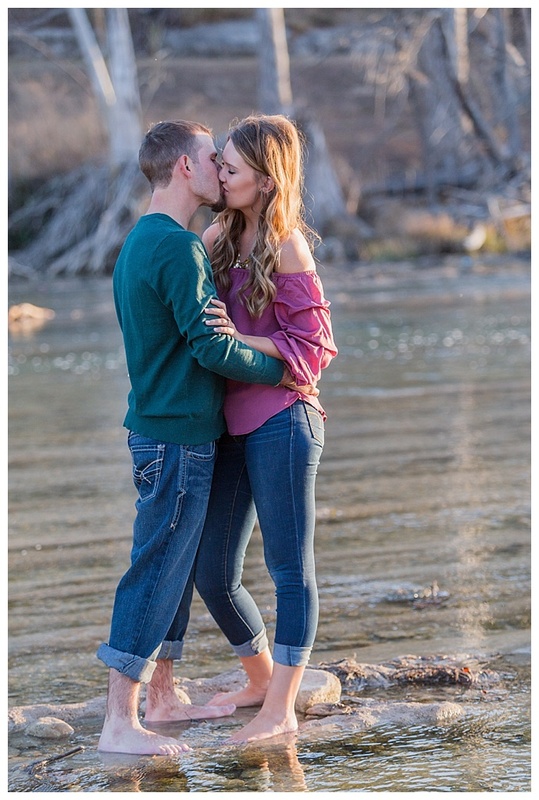 Ultimately, Kathryn persuaded him to join her in the water for a quick giggle sesh and smooch before they hopped back onto dry land. 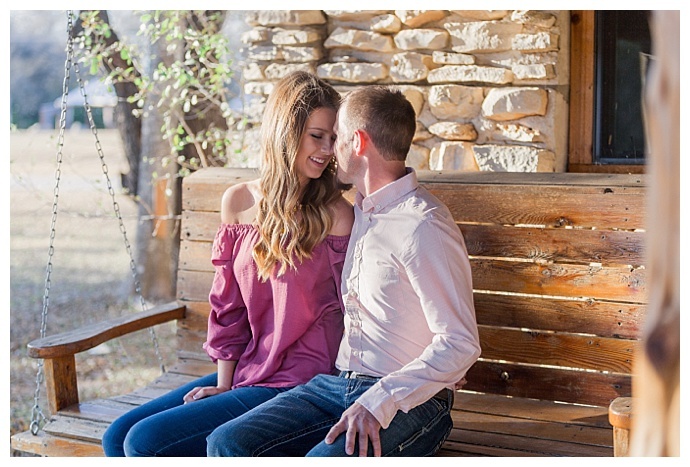 The rest of their sweet engagement shoot is filled with genuine smiles and more laughter that will no doubt bring a smile to your face!